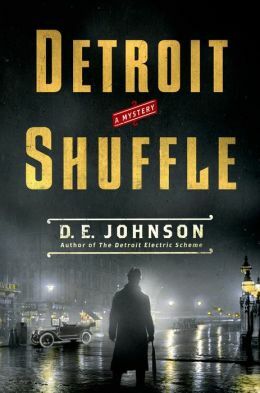 D. E. Johnson’s fourth book chronicles crime and graft in the Motor City at the onset of the 20th Century. Will Anderson is presumed to be insane and his lover, Elizabeth Hume – a woman’s rights activist – is the target of an assassin. Anderson is perhaps a bit decadent, but not crazy mad. He embarks on a quest to save Elizabeth – the presumed target of bootleggers who do not wish for women to have the right to vote. The ending brings her father’s dalliances into the picture and shows that it is more complicated than that. Will’s former infatuation, Sapphira Xanakis, a prostitute in the hands of the enemy, is central to the action and eventual resolution. Politicians, businessmen, cops and the underground element are all in bed with one another making it difficult to sort the good guys from the bad guys. For example, Will, a supposed good guy, is fired by his father who views him as a lazy slacker. The story is told almost exclusively in dialogue, which, for those who like that style is a plus and for others it becomes tiresome. The middle third of the novel muddles along as Will is trying to figure out the best path to heroism. The police chief, Riordan, turns out not to be such a bad guy after all (by this book’s standards) and by the end, he and Will team up to foil those who are after Elizabeth – but not until after multiple wire taps condemn and exonerate the characters. As the book ends, it is obvious there will be another book in this Detroit Mysteries series. There are highlights but unless one is particularly drawn to certain elements or themes that permeate the book, this is a run of the mill crime novel. Dave Moyer is an educator, sometime musician and the author of Life and Life Only: A Novel.